It’s important to rinse all produce, even produce with rinds. Question: My boyfriend insists that we have to rinse off all fruit before eating it – even watermelon, kiwi and cantaloupe. I say fruit that I cut to eat, like melons, doesn’t need to be rinsed first, and it’s OK to just wipe off an apple or grape before popping it into your mouth. Who’s right? 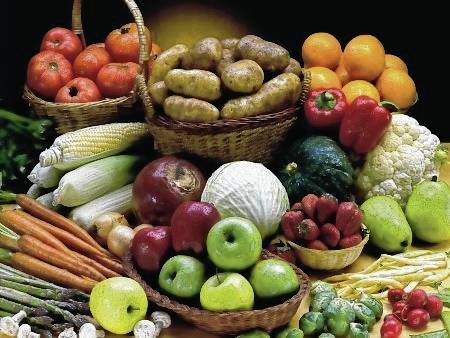 Answer: Eating fresh fruits and vegetables is a great choice that promotes a healthy diet. As such, the U.S. Dietary Guidelines suggest you should fill half your plate with colorful fruits and vegetables at each meal. Sprouts are among the vegetables that cause a high number of outbreaks. They have to be thoroughly washed before consuming. Vegetables like broccoli, lettuce and leafy kale should be rinsed under cold water just before you intend to eat them. However, don’t wash berries before putting them in the fridge because that will increase moisture and accelerate growth of spoilage bacteria and molds. It is important to note that most fresh produce is eaten uncooked and there is no way to kill any harmful bacteria that may be present. This is where proper food safety handling comes into play. To lessen your chance for contracting foodborne illness, it is important that you not only wash fresh produce before preparing or eating it, but you should also wash your hands for at least 20 seconds with soap and warm water before and after preparation, FDA says.